Main Street Lansing IA is located on the Upper Mississippi River in the far northeast corner of Iowa, and they want to capitalize on their location along the national Great River Road Scenic Byway and the State of Iowa’s Driftless Scenic Byway to attract more visitors to their community. Nestled between two mountains with fabulous views across the very wide Mississippi River Valley, they have a five block downtown full of handsome brick and local limestone buildings primarily from the late 19th century. 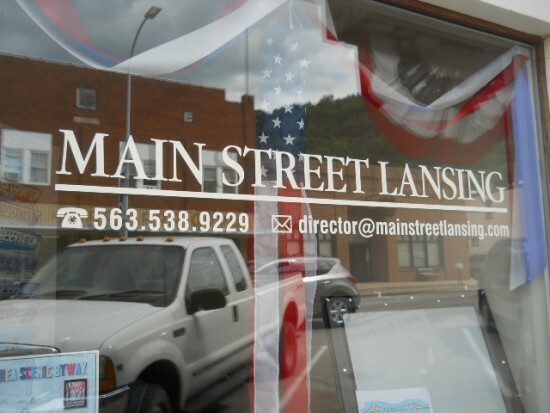 Recently listed on the National Register, they want their downtown stores and events to attract visitors to make Lansing a major stop along the byways at rivers edge. Our report will help them focus on their history to draw visitors to their downtown district. See the presentation here. . We are thankful to Main Street Iowa for asking us to work with them on this fine project.